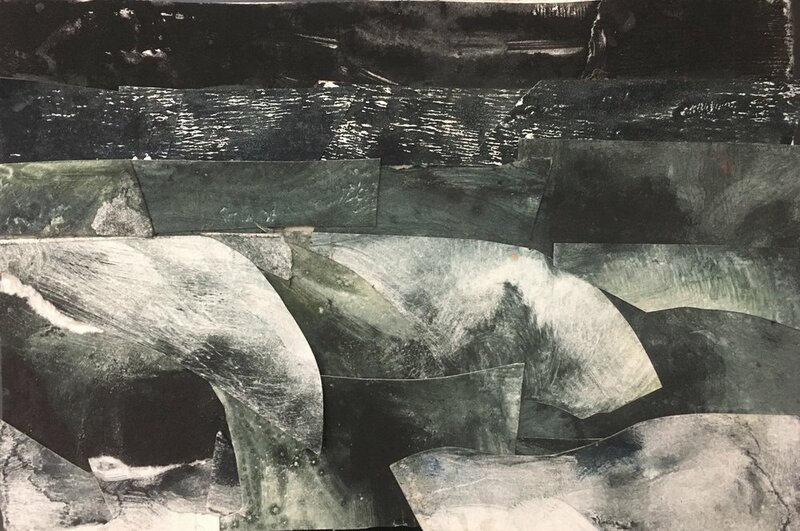 Utilizing recycled monotypes and drawings, this group of collages explores imagery inspired by the ocean. 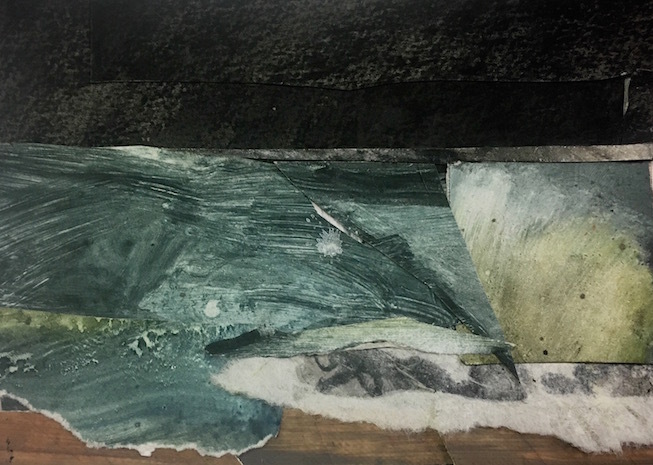 Tides, waves, and shorelines are represented in these abstract approaches to rendering the power and form of the sea. Tides construct shorelines, waves peak and valley as mountain ranges. Despite the scale and power of the sea, wave structures last only momentarily. To try to capture the ebb and flow of the ocean is tireless and hypnotic.